Special Containment Procedures: All remnants or remaining crumbs of SCP-4690 are to be disposed of by vacuum cleaners. Any and all plates or surfaces that SCP-4690 had rested upon, are to be cleaned thoroughly with any remaining residue incinerated. Description: SCP-4322 was a cinnamon roll that displayed powerful cognitohazardous properties. 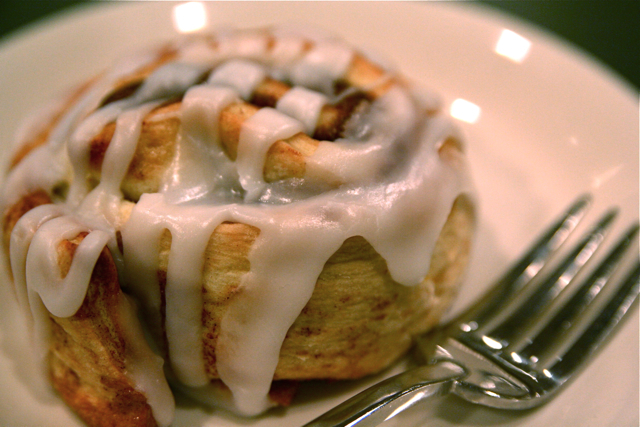 Individuals aware of this particular cinnamon roll were subject to worship and praising of the object. SCP-4322 also displayed infohazardous and memetic properties as all information[[footnote]]Be it written text or that pertained to the taste and appearance of the object were quickly subjected to its power. The purest and the goodest of them all.